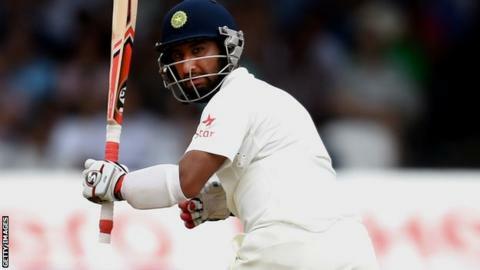 India Test batsman Cheteshwar Pujara has said he would like to return to Derbyshire next season. Pujara, 26, played the final three matches after joining in August and scored a century in the comprehensive win over Leicestershire in the final County Championship game of the season. "I am really honoured to score a hundred," Pujara told BBC Radio Derby. "I really enjoyed my experience playing three games and I hope I get a chance to come back - if time permits." Elite performance director Graeme Welch said Derbyshire were equally keen on renewing the partnership, but said any deal depends on Pujara's availability. "He has fitted in very well and he has to see what his commitments are internationally," said Welch. "But we would be very interested in him."